ORLANDO -- He was a body builder and a security guard, a religious man who attended the local mosque and wanted to become a police officer. Early Sunday, 29-year-old Omar Mateen opened fire at a gay nightclub in Orlando. The shooting and hostage situation early Sunday morning at Pulse left at least 50 people dead, including the gunman, and more than 50 injured. Orlando nightclub shooting survivor describes "mayhem"
Mateen was born in New York to Afghan parents. He had no apparent criminal record and had worked as a security guard before the attack. Authorities immediately began investigating whether Sunday's attack was an act of terrorism. Sources told CBS News correspondent Jeff Pegues that Mateen called 911 from a bathroom inside the Orlando nightclub and pledged allegiance to ISIS. During the call, Mateen referenced Boston Marathon bombers Dzhokhar and Tamerlan Tsarnaev. Mateen gave his full name to 911 dispatchers, according to Pegues. A U.S. intelligence source told CBS News senior investigative producer Pat Milton that Islamic terrorism is being investigated as a possible motive in the shooting because of several indicators, including the style of the attack, which had similarities to the attacks in Paris in November 2015 and Brussels in March. While there is no evidence of any direct contact between Mateen and any ISIS members overseas, the extremist group claimed responsibility for the attack and praised Mateen. Omar Mateen enrolled in Fundamental Islamic Knowledge Seminary, an online website for lessons on Islam, Milton reports. A source told Milton that the seminary was operated by Abu Taubah, also known as Marcos Robertson, who apparently openly preached against the gay community. Following the shooting, the seminary posted on Facebook. "I have not been arrested or questioned by law enforcement. Nor has anyone in our school been arrested or questioned. We are not in anyway connected to the shooting in Orlando, FL. May Allaah make it easier on the believers," the post, apparently by Abu Taubah, said. 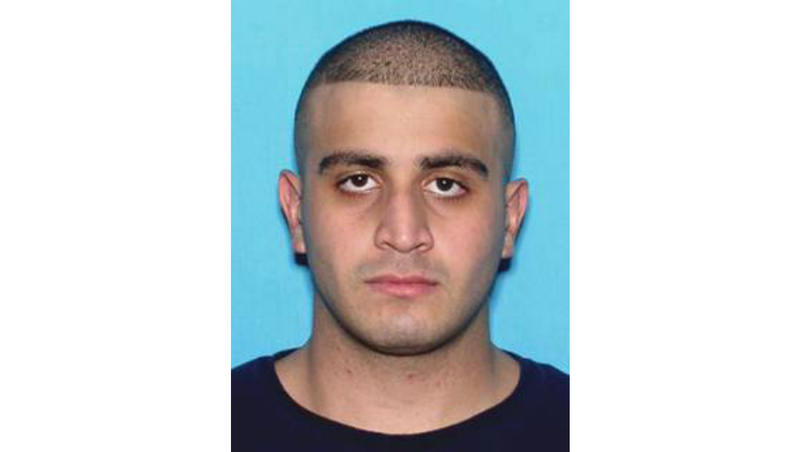 Omar Mateen had been contacted by U.S. law enforcement at least twice in recent years. He had traveled to Saudi Arabia at least twice - once in 2011 and again in 2012 - as part of a religious pilgrimage. Mateen surfaced on the FBI's radar in 2013, when coworkers said he'd made inflammatory remarks about terrorist ties. "Mateen was interviewed twice," said the FBI's Ron Hopper, who is leading the investigation into the Orlando attack. "Ultimately we were unable to verify the substance of his comments and the investigation was closed." He was not on a current terror watchlist, a U.S. intelligence source tells CBS News. He was entered into a terrorist screening database during the time the FBI was questioning him, but he was removed when the FBI closed the investigation. Despite those two investigations, Mateen was not on any list that prevented him from purchasing a weapon. According to ATF Assistant Special Agent in Charge Trevor Velinor, Mateen purchase two firearms -- a handgun and a "long" gun -- within the last few days. A law enforcement source tells Milton investigators are seeking court authorized search warrants for the suspect's home, car, and communication devices including his cell phone and computer. Police have said the suspect was driving a van that was found outside the nightclub. They are also seeking Mateen's financial records and phone records to determine who he may have been in contact with, including anyone overseas. Mateen worked as a security guard, and was employed by G4S Security since Sept. 10, 2007. In a statement, G4S said they are "shocked and saddened by the tragic event" and are cooperating with law enforcement. There is no evidence to suggest that the FBI contacted G4S, the company Mateen worked for, when it investigated him in 2013, CBS News justice reporter Paula Reid reports. According to FBI Director James Comey, there is no evidence that FBI contacted Mateen's actual employer during its investigation. CBS News confirmed that Mateen worshiped at the Islamic Center in Fort Pierce, about 15 miles north of Port St. Lucie and 120 miles south of Orlando. Imam Syed Shafeeq Rahman said although Mateen was not very social, he also showed no signs of violence, Rahman said. He said he last saw Mateen on Friday. Men at the mosque who didn't want to be identified told CBS News they have known Mateen for about five years and that he would come to the center with his son, a 3-year-old, to pray. They described Mateen as a devoted father and family man and said there was no indication that he would do something like this. The Islamic Center released a statement condemning the attack, calling it "monstrous." "The Muslim community of Fort Pierce joins our fellow Americans in repudiating anyone or any group that would claim to justify or excuse such an appalling act of violence," the statement read. The shooter had been married to Sitora Yusufiy for several months before divorcing in 2011, Milton reports. "He was mentally unstable and mentally ill," Yusufiy told reporters in Boulder, Colorado. Although records show the couple didn't divorce for two years after the marriage, Yusiufiy said she was actually only with Mateen for four months because he was abusive. She said he would not let her speak to her family and that family members had to come and literally pull her out of his arms. "A few months after we were married, I saw his instability and I saw that he was bipolar and he would get mad out of nowhere," Yusufy told reporters. "He was mentally unstable and mentally ill."
Yusufiy said she was "devastated, shocked, started shaking and crying" when she heard about the shooting, but she attributed the violence to his mental illness, not any alliance with terrorist groups. Mateen had no criminal record, but Yusufiy said he owned a pistol. She said he wanted to be a police officer and had applied to the police academy. A New Jersey man who identified himself as Yusufiy's father and Mateen's former father-in-law told CBS News his daughter was married to Mateen seven years ago. He said the two met online and had only known each other for a few months when she moved to Florida and married him. "When we even heard that, we actually didn't like that," said the man, who didn't give his name. "Because we are people who believe in conservative traditions, and we said you know it's weird that you know this person for two to three months online." The man said Mateen became abusive towards his daughter. The family went to Florida in September 2009 to pick up their daughter and called police to get her belongings, he said. She later filed for divorce. Since then, the woman and her family have had no contact with Mateen, he said. The family is from Uzbekistan and came to the U.S. in 1999, the man said. He said he was surprised to learn Mateen was the gunman. "I was really shocked, why would he do such a thing? So many people," the man said. Mateen was married for a second time and had a 3-year-old son. The suspect's father, Seddique Mir Mateen, has spoken out to the media, saying his son was anti-gay and he doesn't believe the attack was motivated by religion. Florida Rep. Alan Grayson said he believes the attack was "ideologically motivated." Sources tell Milton that authorities investigating the incident are still looking into whether the attack is a hate crime. But Grayson said he believes "it's no coincidence that the attack took place where it did and when it did." "It might be that we've seen the commission of an awful hate crime last night," Grayson said. A source also confirms to Milton that Mateen searched for the Pulse nightclub online prior to the shooting. A law enforcement official said that investigators have confiscated tapes from surveillance cameras in the Pulse neighborhood, including from ATMs, and are combing through them as part of investigation into Mateen and whether he had been in the area prior to the shooting as well as other information they may get from the tapes. Mateen may have been at the Pulse nightclub prior to the massacre, a source tells CBS News. A U.S. official with knowledge of the situation tells CBS News that club-goers have told investigators that Mateen had been at Pulse previously. The information has not been confirmed by the investigators. The FBI is in the process of interviewing people who are volunteering information, or who were injured in the rampage. The new information on Mateen being at the club previously has not been corroborated by investigators, but patrons believe they had seen Mateen in the club before Saturday night. The FBI investigation will likely last weeks or months. Seddique Mir Mateen, the father of the shooter, is a life insurance salesman who started a group in 2010 called Durand Jirga, Inc., according to Qasim Tarin, a businessman from California who was a Durand Jirga board member. The name refers to the Durand line, the long disputed border between Afghanistan and Pakistan. Mateen's father has posted long, rambling videos online regarding Afghan politics, the nature of which was not entirely clear: A former Afghan official said the program was pro-Taliban, while a former colleague said it was enthusiastically pro-American. Seddique Mateen told CBS News he visited with his son the day before the shooting, and saw no sign he was preparing for an attack. Mateen spoke to CBS News correspondent David Begnaud Monday in his home in Port St. Lucie, in order to clarify any ambiguity that may have been left after a video surfaced showing him saying "God will punish those involved in homosexuality," adding it's, "not an issue that humans should deal with." The elder Mateen said his son Omar Mateen was wrong to not just target gays, but to inflict suffering on any other human being, most especially during the Islamic holy month of Ramadan. "He doesn't have the right, nobody has the right to harm anything, anybody," Mateen told CBS News. "What a person's lifestyle is, is up to him. It's a free country. Everybody has their own choice to live the way they want to live." Mateen said he did not raise his son in America to become a terrorist, and that he never suspected a turn to the dark side of extremism. "I wanted him to get higher education to be servant of the United States," Mateen said.